Our photographs of harvesting and preparing ramps at our upstate farmhouse (taken by Christopher) and glimpses of his secret backwoods foraging spot (pages 2-3); and, my ramps recipe, Wok-Braised Ramps, (pages 26-27), are featured in the first-ever ramps cookbook, from St. Lynn’s Press: Ramps: Cooking with the Best Keep Secret of the Appalachian Trail. We’re in mixed ramps-loving, recipe-sharing company — including chefs like Mario Batali, Timothy Wastell and Chris Perkey, foragers and bloggers from around the country. Its pocketbook-size and slimness makes it entirely totable — one you can slip into a backpack or garden bag. Or, easily prop up in the kitchen for a ramps-inspired meal. 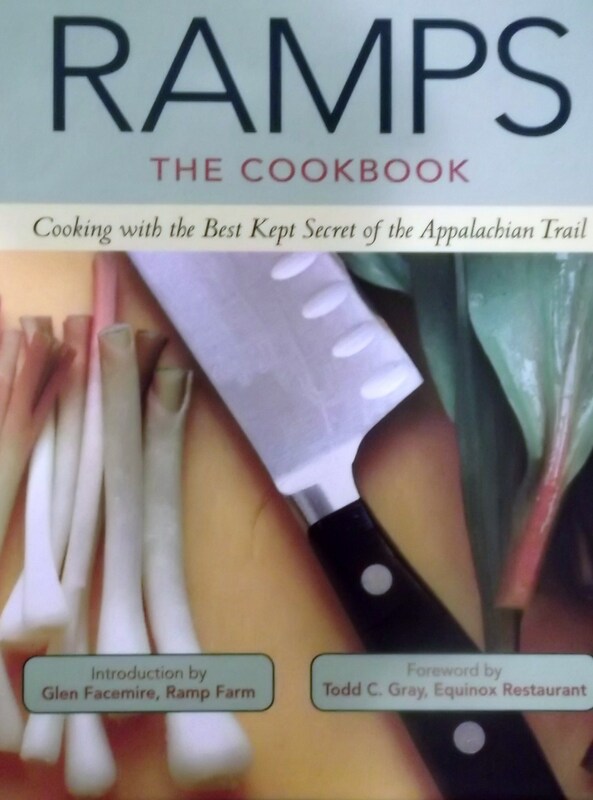 This entry was posted in At Our Farmhouse, Bookshelf, Food, Hudson Valley, Local Food and tagged Hudson Valley, ramps, ramps recipes, Ramps: Cooking with the Best Kept Secret of the Appalachian Trail, St. Lynn's Press. Bookmark the permalink.